Don't wait until your case is over until you see how certain financial decisions will affect your financial future. 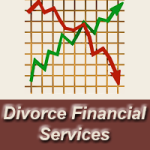 Massachusetts Divorce Financial Analyst services may be a stand alone process or one chosen as part of or in addition to a Divorce or a Divorce Mediation. A Certified Divorce Financial Analyst, (CDFA) ™ is an individual certified by the Institute for Divorce Financial Analysts™. Is it time for the “divorce college planning meeting” called for in your separation agreement? It may have been some time since you and your former spouse have been in the same room. You have no idea how to move through this tough topic including the college financial aid conversation without stirring old emotions and without argument. Consider adding a neutral third party to the process by way of a divorce mediator who has experience with this specific issue? This is how we would work through the issue at divorce mediation. We would follow a structured process in a way least likely to offend anyone and still get the job done. Unfortunately, divorce and financial issues often go hand and hand. Learn about the big five financial issue and ways a qualified divorce mediator will help you see options to make smart decisions for your financial future.